Mention the word “Realtor,” and you will get many different responses within the pest management industry. Love ’em or hate ’em, though, if you perform wood-destroying insect (WDI) or organism (WDO) inspections, very few people can help you like Realtors can. At the same time, if they don’t have a great understanding of your process and what you do, they can be one of your biggest business headaches. 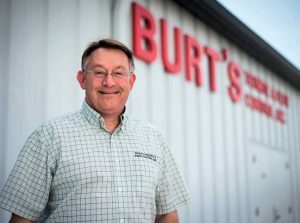 Doug Foster, president, Burt’s Termite & Pest Control. I’ve worked with some of the same Realtors for more than 40 years, and I can tell you that when you have established trust and confidence with any clients for that long, they are happy to send you a ton of business. Invest time and energy to build the relationship. I don’t mean dropping off doughnuts or candy once in a while. (Most the time that stuff is dumped in the trash after a day or two, anyway). I’ve never had any Realtor say they called me because of my delicious snickerdoodles. I DO mean spend some time one on one, in groups or at their association events, and get involved. Communicate openly and honestly. Many times after an inspection I’ve had to deliver “bad” news to a buyer, seller and/or Realtor. Realtors are in the service business just like us, and they deserve our best. Honest information, accurate results and quick response helps them build relationships (and hopefully repeat business) with their clients. Sound familiar? Don’t paint all Realtors with the same brush. The longer I’m in business, the more that the concepts of “We’re not for everyone” and “Not everybody is our customer” rings true. If you can’t work with a particular Realtor, move on! But don’t bash the entire industry. There are plenty of people who don’t “get it” in any industry … including ours. The days of “Realtors only care about their commission” and “they only want the lowest price” are long gone, if they ever existed, thanks to today’s business and social climate. Yes, some Realtors can be demanding and need work completed in a rush, but that’s OK. As long as they don’t ask for something illegal or against my core values, I’m good! I’ve made incredible business and personal friendships over these 40 years. The old saying “Walk a mile in my shoes” rings true in our work with Realtors, home inspectors and property managers. If you can’t or won’t put in the work, don’t expect the reward. Doug Foster is president of Burt’s Termite & Pest Control Inc., Columbus, Ind.